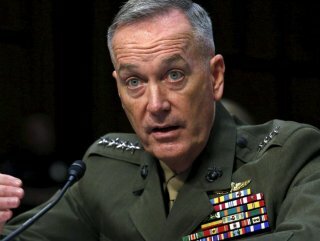 The US continues to 'conduct detailed military planning with the Turkish General Staff,' Joint Chiefs chairman says. The US's top general denied Sunday a report suggesting the military plans to keep roughly half of its 2,000 troops stationed in Syria following a withdrawal President Donald Trump described in December as immediate and complete. 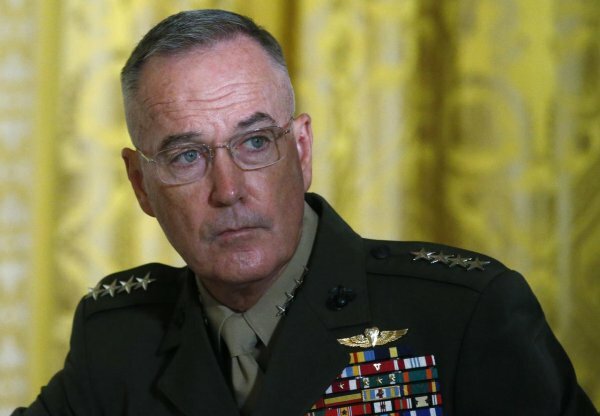 "PLANNING TO DATE HAS BEEN PRODUCTIVE"
Joint Chiefs Chairman Gen. Joseph F. Dunford called the reported new force numbers "factually incorrect," insisting there has been no change to the planned 400 troops the White House announced last month. "Further, we continue to conduct detailed military planning with the Turkish General Staff to address Turkish security concerns along the Turkey-Syria border," Dunford said in a statement. "Planning to date has been productive and we have an initial concept that will be refined in the coming days," he added. The Wall Street Journal reported earlier in the day that ongoing negotiations between the US, Turkey and European allies over a potential safe zone in northeastern Syria a key element of Trump's departure plan have yet to lead to a conclusive agreement. The newspaper said the US is now seeking to continue its cooperation with the YPG-led SDF despite Turkey's warnings that it will conduct a cross-border operation against the PKK's Syrian offshoot. The PKK is a designated terrorist organization in the US and Turkey. That could lead to as many as 1,000 American troops remaining in northeastern Syria, the newspaper reported citing anonymous American officials. US partners forces are currently fighting the Daesh terrorist group in its last remaining bastion in Baghouz, Syria, and after the battle, the US is expecting to begin withdrawing "hundreds" of troops, according to the journal. "HAD NO BASIS IN MILITARY PLANNING"
The White House announced in February that the administration is planning to keep roughly 200 American troops in northeastern Syria as part of an international peacekeeping force, in addition to 200 troops that were supposed to be used to secure a garrison at a strategic Syrian border town. A military official told the journal that the White House's numbers "had no basis in military planning." And a senior official called the US withdrawal "substantial," but stressed final force figures "are neither determined nor approved." Trump's abrupt decision to withdraw US forces from Syria was met with significant pushback by close allies in Europe and among some of Trump's closest legislative supporters on Capitol Hill.